Optimisation of your Micad Asbestos Module will aid in increasing your level of compliance and the confidence of your users. If you are a Micad Asbestos Module customer you will benefit from this service. Our support package will assist you in achieving the very best from your Micad Asbestos Module in terms of configuration, practical day to day use, management and reporting. As time may have passed since your original implementation, your configuration could have become outdated, meaning that Asbestos data may have become redundant. It is important that you understand how to manage change within your module to prevent it from becoming outdated or full of legacy information. In our experience, systems which are not actively managed and kept up to date do not provide credible, up to date information. In the litigious world we are now operating within it is important that, if using the Micad Asbestos Module to support your Duty to Manage, your data is clean and appropriately managed. 4. The implementation and delivery of an appropriate Training package to ensure that those responsible for both management and use of the module fully understand the population requirements and operational functionality. Enhanced Module management and reporting capabilities. Marc is a Solicitor and former NHS Strategic Estates and Property Management Lead, and as such brings extensive expertise in strategic Estates and Facilities Management and Compliance. He is also an experienced front line Micad system user having implemented and utilised the Micad System for multiple purposes whilst employed within the NHS and on a consultative basis whilst employed on contract with EFM. This allows Marc to provide practical, front line consultative advice in relation to all aspects of the Micad system, particularly the implementation and management of the Asbestos Module. Marc is also the lead trainer in relation to all aspects of the Micad system. Professional population of your newly purchased Micad Asbestos Module will be critical to the use of the system by your organisation going forward. 3. Population of the module from a recent reinspection. Population can consist of data and photographs / data, photographs and documents or a mix of the two dependent upon the drivers within your organisation. We can advise you as to the best course of action should you be unsure as to how far you need to go or to fit in with any budget you may have set aside to support this aspect of the implementation process. 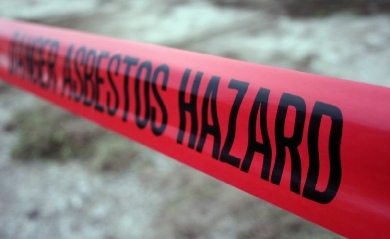 It is important to start with a plan and to treat the implementation of the Asbestos Module as a project in its own right with appropriate stakeholders, points of contact and milestones being set to measure and monitor progress. Once the module is populated we will publish appropriate standard reports for your organisation and discuss the same with you during your training session. Once your module is populated we can either hand the module over to you with appropriate training for you to manage yourself or we can manage the module for you on an ongoing basis. Contact us by telephone on (0191) 383 7444, email here to discuss your requirements or to make a booking for us to support you. “It has been a pleasure working with Marc Watson of EFM Consulting. Marc became an integral part of the team in recently updating our Asbestos module on the MICAD system due to his unique, collaborative, enthusiastic and committed style. His knowledge and experience was invaluable throughout the data uploading process. His proactive, methodical and professional approach were vital qualities in completing this significant piece of work in a timely manner. We look forward to working with EFM Consulting in the future”.